This cow has a dress with large collar. You can choose the color of the dress. The little cow can also be dressed as a boy. 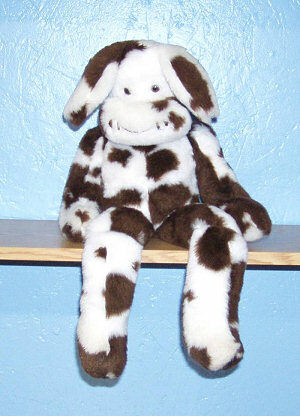 The fur pictured is: Cow (Brown & White). See all available fur styles. The size pictured is: Cow, 15 inch.